It was a rough Sunday night, as many shows dipped to new lows or stayed at previous ones. Spartan was hit the hardest, dropping 50% for its finale. It's not all Spartan's fault though, as it had a triple whammy of having to air on a special night, behind Megyn Kelly, with half of the episode airing out of primetime. Nevertheless, it can't be ignored that the 0.5 for Spartan is lower than the 0.7 from last week's Ninja Warrior repeat. Megyn Kelly continued to be an unbelievable flop with a 0.5 after a 1.2 NASCAR lead-in. Not that it surprises anyone at this point. ABC had their game show lineup, and things didn't get any better for them after last week's lows. It's undeniable that they're underperforming, but pretty much everything else is, as well, so the game shows look a bit better in comparison. CBS had their Summer Saving Grace Big Brother, which was steady at a 1.8. 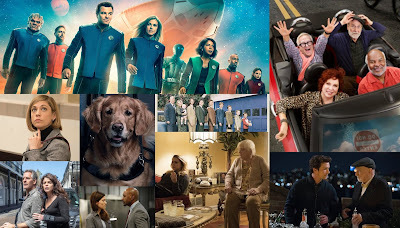 It's an incredible result for the CBS smash hit, and it's far above anything else on last night. That 1.8 from Big Brother makes the rating for lead-out Candy Crush even more disgraceful. Candy Crush dipped another three tenths to a 0.5, and its now operating at less that 50% of its debut rating. Just to remind you, this is just Candy Crush's third episode. The rejection is certainly strong with this one. 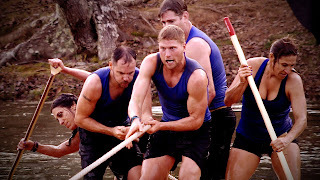 Over on Fox, American Grit did a 0.4, but at least that isn't the lowest-rated program on Fox. It beat the 7 PM repeat of Bob's Burgers. So that's something, I guess.